This is a plant which Clive Groves kindly gave me in Febraury 2002, having obtained the seed from Bleddyn & Sue Wynn-Jones of Crûg Farm Plants (their collection number BSWJ6728). 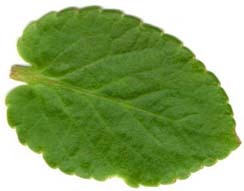 We do not know for sure what it is (Bleddyn & Sue had it as Viola sp. 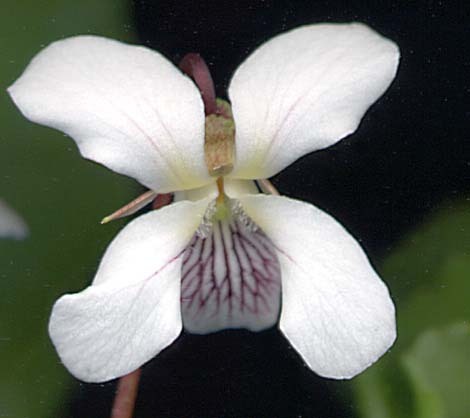 ), but Viola adenothrix Hayata is currently my best guess, based on definite rejections of several candidate species and based on general similarity of BSWJ6728 with this species. I am putting these scans here just to aid discussion. ...so I cannot rule these out yet. This is the main photo suggesting BSWJ6728 is V. adenothrix. I would be happier about identifying it as that species if the photo showed reddish petioles and sepals, but of course that character could be influenced by ambient light levels. It also agrees quite well with the holotype as photographed in Akiyama and Ohba "Catalogue of the type specimens preserved in the Herbarium, Department of Botany, The University Museum, The University of Tokyo", 2001. plate 8. I am discussing the matter with Bleddyn & Sue and others, so this is work in progress.